How to model this stand? I've tried to use curve, but it doesn't look right. Create a cylinder (12 vertices), put its origin to its bottom. Duplicate it with a shiftDenter. Rotate the copy 120° on the Y axis (or whatever angle). Duplicate the second cylinder and rotate it 120° on the Z axis. Again create a fourth cylinder and rotate it 120°. Now use some Boolean modifiers to merge these 4 cylinder. Remove doubles to make the final object clean. 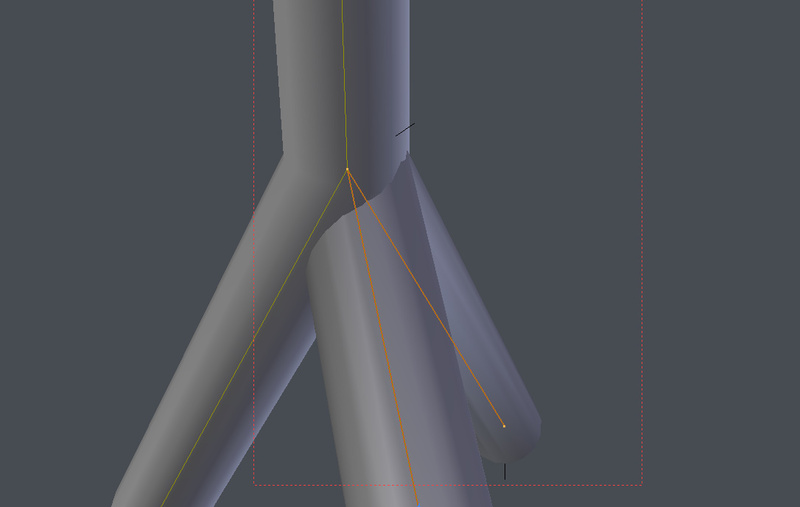 You should not have any vertices inside your mesh but if it happened just delete them. Alt + C (Convert to Geometry) Delete bad intersecting faces, rebuild (re model). There´s no way around to bypass this bad geometry issue you have with the skin modifier since there´s not the necessary number of polygons between intersections, not even if you scale them. Convert the mesh. Recreate patches to the leg. Not the answer you're looking for? Browse other questions tagged modeling or ask your own question. How can I model this twisted arrangement of cubes?